UK-based design studio Peter Bolke Design from Southhampton and worldwide brokerage house Ocean Independence has presented their new 46-meter anti-radar vessel – Project Stealth ARV. Peter Bolke, who spent a significant period of his life as a designer at well-known Dubois Naval Architects, created the exterior design and naval architecture for this superyacht project. Stealth 46M ARV will be built from an aluminium, having an aggressive military-like exterior and the design lends itself to some serious buyer customization if required, as well as offers a practical and elegant solution to space and performance. The design offers great internal volume and the hull design is maximised for efficient long-distance running. The design also allows for class-beating interior volume. Possible date of the launch is 2020 and the shipyard is yet unknown. Price is upon request. 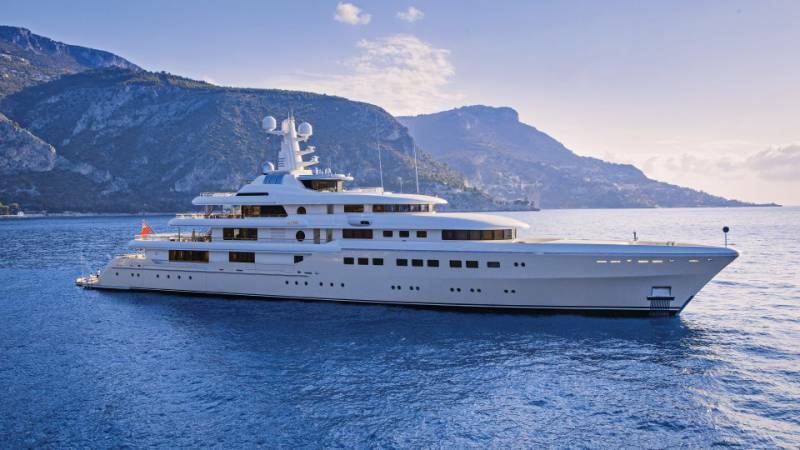 Delivered by the German shipyard in 2014 to Russian billionaire Alexander Mamut according to British media, the 82-meter yacht spans a total of five decks accessible via a glass elevator. Designed in a light, beige theme, Kibo’s interior features several lounging areas and accommodation for up to 12 guests in 6 staterooms. Amongst the yacht’s other features are a large beach club that comes complete with a bar, a cinema screen in the main salon and an owner’s suite with a private terrace on the foredeck. Kibo carries a crew of 23. This summer the yacht was made available for charter for the first time. 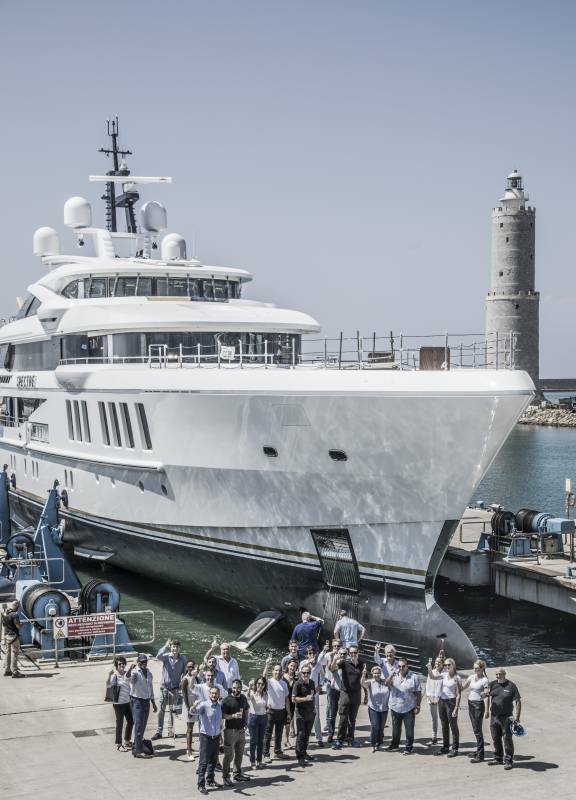 Benetti – the Italian yacht builder, delivered 69-meter fully-customized superyacht Spectre to John Staluppi recently. They held an exclusive ceremony at their Livorno shipyard. 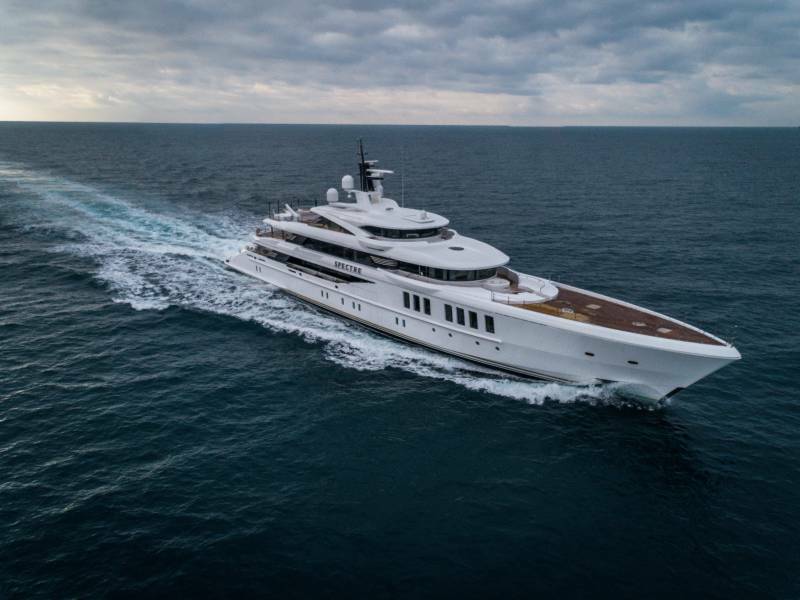 It took 750,000 working hours to build this steel-hulled yacht with aluminium superstructure, pool and “touch ang go” helipad, which is the third Benetti superyacht built for the Staluppi in less than ten years. John and Jeanette Staluppi are experienced owners who adore James Bond filmography, 50s and 60s sports car adrenaline excitement, and the Made in Italy ethos. Staluppi’s wish was to feel the same emotions on board the new superyacht as they did in a motorcar on the racetrack. The main challenge for Giorgio M. Cassetta, who designed the exterior lines, was to create an extremely dynamic yacht with huge volumes. The result is a very “traditional” vessel with a long and sharp bow and extended superstructure volumes that slide towards stern. The interior layout is modern and has been created by the Benetti Interior Style Department, while the owners took an active role in selecting some particular furniture. The whole atmosphere on board is a homage to the traditional late-‘800 Liberty French hotels and boutiques. On the Main Deck, for example, the main salon floor takes inspiration from that of a Parisian Deco style resort, enriched with modern touches thanks to the choice of Armani fabrics, chosen by the owner. Other references to French taste are represented by the designs of the carpet and, especially, the windows, which reference those of the most characteristic Liberty shops in Paris. 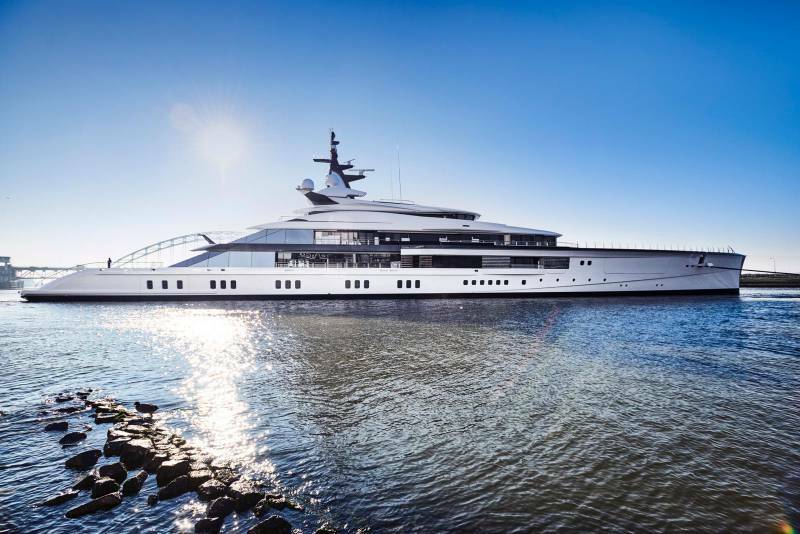 Oceanco’s 109-meter Project Bravo was launched recently. She has naval architecture by Lateral Naval Architects, exterior design and layout by Nuvolari Lenard and Interior by Reymond Langton Design. She is the first Oceanco to utilise its innovative LIFE ( Lengthened, Innovative, Fuel-efficient, Eco-friendly) design. LIFE revolves around intelligent naval architecture that leverages a number of fundamental principles, which create a harmonious balance between weight, power, technical areas and luxury interior on board. Bravo embodies Oceanco’s expertise in building large complex yachts, whereby project management proficiency played an integral part in Bravo‘s success, “A bespoke project of such magnitude and splendor will always present interesting challenges and opportunities” says owner’s representative, Burgess. “With Project Bravo we created a truly spectacular yacht whose excellence is a clear reflection of the commitment of a dynamic and professional project team”. 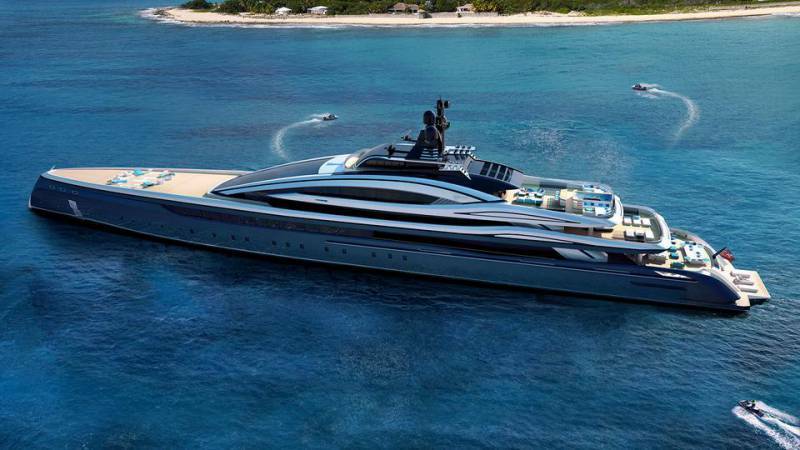 100-meter superyacht concept Crossbow has been revealed by the Italian studio Hydro Tec. 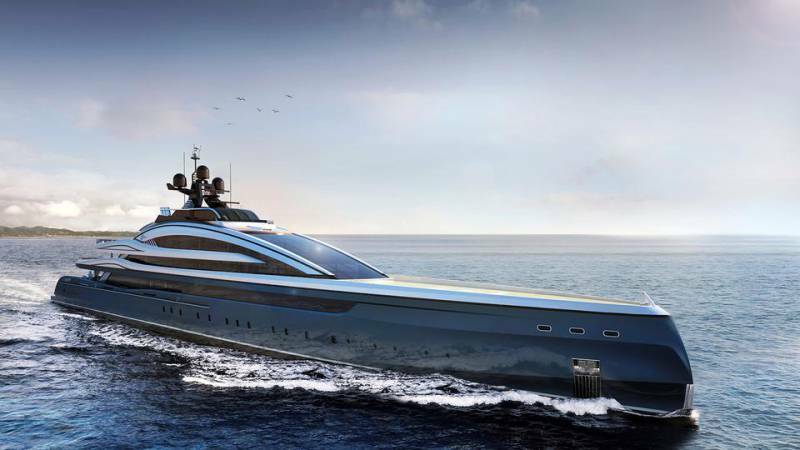 She will be built from aluminium hull and superstructure and boasts an arrow-like, sleek and sporty design. Crossbow can reach very shallow waters as her draught of 3.5 meters is very unusual for a yacht of this size. The most unusual feature of the yacht is that the superyacht wheelhouse is placed to the uppermost deck, while there is two-storey height atrium on the main deck. Crossbow boasts a huge 135 square meters superyacht beach club, infinity pool on the upper deck, piano lounge, Jacuzzi, cinema, as well helipad and capacious garage.